On August 10, 1846, the U.S. Congress granted a charter to the Smithsonian Institution, today the largest museum complex in the world. This beautiful brick building in Washington, D.C., is nicknamed "the Castle." 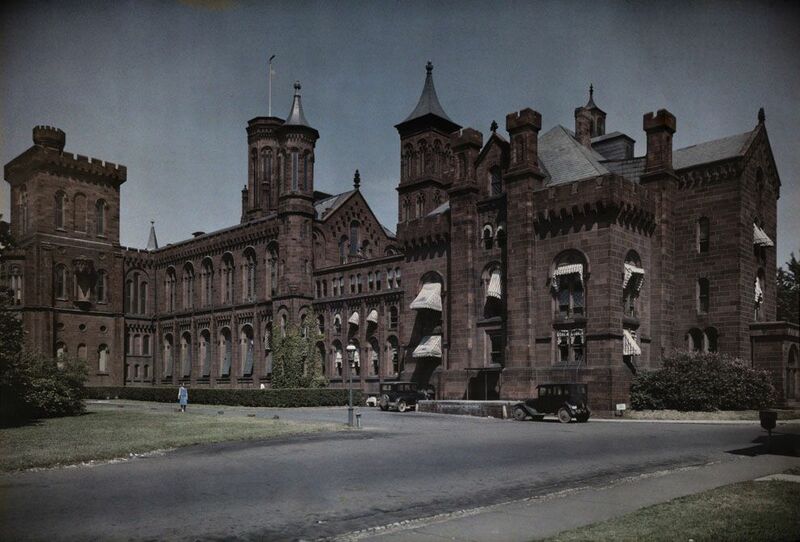 The Castle is home to the visitors' services and administrative offices of the Smithsonian Institution. On August 10, 1846, the United States Congress granted a charter to the Smithsonian Institution, today the largest museum complex in the world. A large donation from British chemist James Smithson made what was first called “the United States Museum” possible. The Smithsonian Institution includes 19 museums and research centers. Most of these museums are a short walk from the U.S. Capitol in Washington, D.C. The Smithsonian also has more than 150 affiliates across the U.S., Panama, and Puerto Rico. The Smithsonian Institution is sometimes called the “nation’s attic” due to its diverse, eccentric collection of more than 137 million items. Visitors can see the iconic stovepipe hat worn by President Abraham Lincoln at the National Museum of American History; the Hope Diamond, one of the largest diamonds in the world, at the Museum of Natural History; and the actual Apollo 11 command module—which guided the first trip to the Moon—at the National Air and Space Museum. The most popular items held by the Smithsonian, however, are probably Mei Xiang, Tian Tian, and Bao Bao—the giant pandas at the National Zoo! subsidiary or branch of a larger organization. room or part of a building directly under the roof, often used for storage. hat with a medium-size curled brim, folded at the crown, usually with a wide band. speed of sound, 343 meters per second (1,125 feet per second).